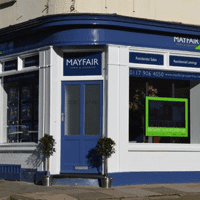 Mayfair is one of the fastest growing independent estate agents operating throughout Bristol, Somerset and Dorset. We believe our success is down to our experienced staff who simply love what they do and the areas they serve. We take a fresh approach to estate agency with four of our core values being integrity, reliability, approachability and professionalism - our clients will always receive honest advice and speedy communication, when we say they will. We’re never pushy – we’d hate that too - a house move in any size, shape or form is daunting and we understand that. It’s our job to help you achieve your property aspirations with as little stress as possible and some sound advice along the way. Integral to Mayfair is a passion for property and the provision of a fantastic service to every single client. 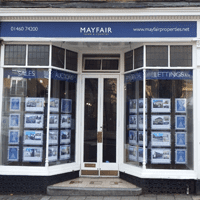 In addition to our eight offices, Mayfair forms part of a supporting network of thirteen local agents covering Bristol, Somerset and Dorset. This widens our pool of property expertise and enables the marketing of your property from the upmarket area of Clifton, Bristol, all the way through Somerset and down to the Dorset town of Dorchester. 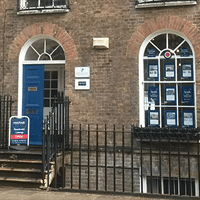 Situated in a high profile location in Beaminster Square, the office is surrounded by a range independent shops and has ample parking immediately outside. Surrounded by idyllic countryside and views, Beaminster has a village vibe, but with all the facilities you would expect from a small town, including schools, doctors surgeries and restaurants. Our Beaminster office reaches out to all of the West Dorset villages, right up to the Devon and Somerset borders. Clevedon is a beautiful Victorian seaside town overlooking the Severn Estuary. The town, by Junction 20 of the M5, is just 13 miles from Bristol and 10 miles from Weston-Super-Mare with good public bus links to both major towns. Positioned on the prestigious Hill Road with its vibrant cafes, independent boutiques and delicatessen, our Clevedon office is excellently located, just a short walk from the centre and the sea front with its grade 1 listed pier. Situated in the fashionable upmarket suburb of Clifton with its stunning Georgian Architecture and eclectic mix of boutique shops and fine eateries, our prestigious Bristol office occupies a wonderful position on Princess Victoria Street with Isambard Kingdom Brunel’s iconic suspension bridge providing a breath-taking backdrop. The prime position of the office allows us to easily access many popular residential locations within Bristol including Clifton, Clifton Village, Hotwells, Harbourside, Sneyd Park, Stoke Bishop & Redland and we are also superbly situated to cover the many outlying villages popular with commuters including Leigh Woods, Abbot Leigh, Failand and Long Ashton. 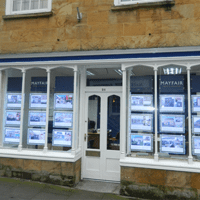 Our Crewkerne office boasts a high profile location in the market square of this busy South Somerset town. The town has extensive facilities ranging from a flagship Waitrose store, to a community leisure centre. Located on the Dorset/Somerset border, the town has excellent rail links to London and a diverse range of properties, which introduces first time buyers and investors to the area. Our Crewkerne office reaches out to all South Somerset villages, right along to the Devon and Dorset borders. 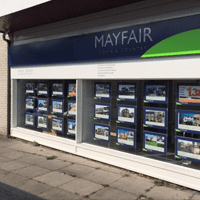 Mayfair’s Dorchester branch is centrally located on the bustling South Street, at the heart of the town’s shopping district. 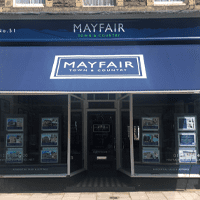 A modern and newly renovated office - the team having relocated from nearby Poundbury in 2018 - it provides bright illuminated window displays and a warm and welcoming environment for those wishing to discuss their property requirements. Our Dorchester office is well positioned to serve clients throughout the town, as well as reaching out to nearby Poundbury and its surrounding villages. The office in the Ilminster is located on East Street, the main road through the centre of the town. Close to the A303 which links London to Exeter, the pretty market town is suitably located for those looking for a village way of life with good commuter links. 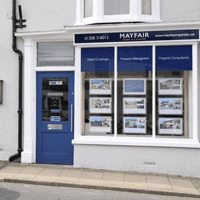 The Ilminster office works closely with Mayfair Crewkerne o serve Ilminster and the surrounding villages of South Petherton, Stocklinch, Shepton Beauchamp, Barrington, Horton, Ilton, Broadway, Donyatt, Sea, Kingston and Seavington – however their portfolio spreads as far as Taunton, Somerton, Langport and beyond. Our Taunton agents are local people and have extensive industry experience and local contacts. We understand Taunton, its surrounding area and today’s market place, which enables us to create an effective property-specific plan on the back of our first-hand knowledge and expertise. As Somerset’s county town, Taunton lies on the River Tone and is steeped in history with its attractive historic buildings and several parks, making it a desirable place to live. The town centre has all the main high street shops you would expect to see and an abundance of cafes, restaurants and attractions. The town has a real community feel and there are always events going on and things to do for all the family. Close to the M5 motorway, there is quick access to the sunny counties of Devon and Cornwall and the nearby city of Exeter is only short hop away. Our Weston-super-Mare office is light and airy, sitting in a prominent dual-aspect position on the busy Boulevard with bright A3 LED displays. The town itself is constantly growing and a recent multi-million pound regeneration of the seafront has turned the area into a buzzing metropolis and is increasingly seen as a desirable place to live. The appeal of the area is the diverse landscape and therefore type of property available as well as excellent transport links for those commuting to Bristol, Taunton and London. There are also a number of good schools to choose from, making it a popular residence for both the business person and families. 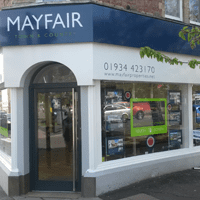 Situated in a prominent position on Worle High Street, our Worle office occupies a corner premises, standing out from the crowd with its high-spec backlit A3 window displays. Worle is situated approximately two miles in from Weston-super-Mare sea front and shares many of the wonderful facilities at hand. The location of Worle and its train link makes it the perfect area to commute to Bristol and Taunton - and Bristol Airport is only approximately 40 minutes away. Although Worle dates back many years, more recently it's been developed providing modern housing developments in areas such as West Wick, Wick St Lawrence, St Georges, Weston Village and Locking Castle.